At a time where the technology is day after day increasingly diverse and more and more complex, being able to check how it works and understand internals behind the stage has never been as important. This is the aim of this workshop: give you back the power to master the technology and stop to be mastered by the technology… From operating system internals to malware’s behavior stepping by security and programming consideration (which could lead to vulnerabilities), here is the agenda of the workshop. If you are curious and you have always believed that mysteries in computer science should not stay mysteries and close source software is far to be enough to protect secrets, this workshop should be made for you. Understand assembly language x86 and x64. Be able to search autonomously something in a program by yourself. How it interacts with operating system? How to rule them with simple technics (Sysinternals tools). What reverse engineering is about? Laws in world about reverse. Different tools for different purposes. At the end, we all speak assembly. Intel assembly language (x86 mainly, x64 about main differences when it matters). Operating system interactions and considerations (under windows). Practice: Write your first assembly program. Bonus if time: Secure programming and vulnerabilities from weak implementation in software. Presentation of main components under Windows (both user and kernel land). Presentation of important changes and security considerations starting from Windows 10. Demo: Using reverse engineering to understand how to interact with undocumented functions (and how they work!) under Windows. Practice: Do it yourself with IDA. Practice: How are corrected flows in software? Differential view between versions. From theory to real world. How do they work and the different shape they can use (stealth, anti-debug, file-less, lateral movement, etc.)? How to protect a software and how to bypass protections for reverse engineering? Practice: Challenge with a hardened “crack-me” with strong anti-reverse-engineering protections. A laptop with enough memory in RAM to be efficient and disk space. Intel or AMD processors (x86 or x64). Windows 10 operating system (downgraded mode with Windows 7). IDA software (free version or a commercial one for a better use). Visual studio community (or others) 2017. Windows Driver Kit for Windows 10. With basics in programming (mastering C would be perfect). It could be better (but not mandatory) with basic knowledge in assembly or operating system (even if we will do as if you would not have). Students in IT and most especially in security. Anyone curious about how operating system and malware analysis is welcome. Get a good knowledge about how things works in Windows and more generally in operating system world. Get practice by reversing software. Get practice by debugging regular software and assembly development. Get practice by performing static and dynamic analysis. Understand the purpose of both static and dynamic analysis. Understand better how tedious bugs in software can lead to real and high consequences. Understand how malware can try to prevent reverse engineering and how to bypass these protections. Good stories and culture about Windows (history, code, architecture, security and internals). Practice, practice and practice… This is the only way to progress in reverse engineering and in IT in general ;-). 1. Disclosure about vulnerabilities not corrected, patents or cracking protection of commercial software. It is not legal in addition not to be moral. 2. Reverse engineering of software written in C# or C++ (it is out of scope even if tools would be presented to proceed if attendee desires to do it). We suppose that software are compiled as if they would have been written in C.
DAVID Baptiste is a PhD student at the (C+V)^O laboratory in ESIEA. His research is mainly focused on malware analysis, security under windows operating system, networks, kernel development and vulnerabilities. Sometimes math, physic or anything cool from that stuff is perfect for him to enhance everyday life. He although likes good food and good vine (we never change), but he is okay if you offer him beers. He has already made several conferences included: iAwacs, Cocon, Ground zero summit, EICAR, ECCWS, Defcon. Developers and Operations teams (DevOps) have moved towards containers and modern technologies. Attackers are catching up with these technologies and finding security flaws in them. In this workshop, we will look at how we can test for security issues and vulnerabilities in Dockerised environments. Throughout the workshop we will learn how we can find security misconfigurations, insecure defaults and container escape techniques to gain access to host operating system (or) clusters. In the workshop, we will look at real world scenarios where attackers compromised containers to gain the access to applications, data and other assets. A lot of theory. This is meant to be a completely hands-on training!! Madhu Akula is a security ninja and published author, security and devops researcher with extensive experience in the industry ranging from client facing assignments building scalable and secure infrastructure, to publishing industry leading research to running training sessions for companies and governments alike. Madhu Akula’s research papers are frequently selected for major security industry conferences including Defcon 24, Blackhat USA 2018, All Day DevOps (2016, 2017), DevSecCon (London, Singapore, Boston), DevOpsDays India, c0c0n, Serverless Summit, ToorCon, DefCamp, SkydogCon, NolaCon and null, etc. Madhu Akula was a keynote speaker for the National Cyber Security conference at Dayananda Sagar College in Feb 2016. When he’s not working with Appsecco’s clients or speaking at events he’s actively involved in researching vulnerabilities in open source products/platforms such as WordPress, Ntop, Opendocman etc. 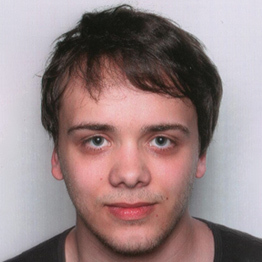 and is also a contributing bug hunter with Code Vigilant (a project to Secure Open Source Software). His research has identified many vulnerabilities in over 200 organisations including US Department of Homeland Security, Google, Microsoft, Yahoo, Adobe, LinkedIn, Ebay, At&t, Blackberry, Cisco, Barracuda etc. He is also an active member with Bugcrowd, Hackerone, Synack etc. Madhu Akula has trained over 5000 people in information security for companies and organisations including the Indian Navy and the Ministry of e-services in a leading Gulf state. Madhu Akula has also authored a book titled "Security Automation with Ansible 2" that comes recommended by the creator of Ansible itself. He is co-author of Security Automation with Ansible2 book published by Packt Publishing in December 2017, which is listed as a resource by the RedHat. The aim of the workshop will be to build Solid Understanding of the basic primitives of cryptography and building blocks of PKI. How these different blocks come together and try to provide you end to end security and still there are many ways you can get around and exploit these Implementations. We will use OpenSSL as our Swiss Army Knife and practically understand how the cryptography, benchmarking, cryptoassessment, back door detection is done. We will see how the balance between security requirements and the performance & compliance is achieved by choosing the right set of primitives. And One day entirely hands on to attack, bypass or exploit the SSL / TLS implementations in N different ways. Security Professionals responsible for Testing, Developing, Designing, Auditing critical systems with Cryptographic implementations. Ajit Hatti is a Co-founder of "null - Open security community", and author of LAMMA and GibberSense, the crypto security assessment tools. Previously worked on secure applications of Cryptography at Symantec Corporation. He has worked as an Engineer and Security Researcher with security companies like IBM-ISS, Bulelane, Zscaler in past. He has previously presented his security research at BlackHat, DEF CON + Crypto Privacy Village, NullCon, Ground Zero Summit & c0c0n. The 2 day training course outlines defense in depth on Network and Application Layer attacks using Elastic stack. During the 2 day training programme, we would conduct hands-on exercise on simulating, correlating, analyzing and mitigating multiple attacks from Layer 4 - Layer 7. We would also cover various case-studies on day-day security requirements on cloud as well as enterprise networks. The course would end with a CTF exercise to participants on visualizing security facts using Elastic stack. With growing trend of Big data, companies tend to rely on high cost SIEM solutions. Continuous Security Monitoring/Alerting of medium and big enterprise is a large challenge in hand today. Logs from thousands of endpoints, servers and perimeter devices is difficult to aggregate, analyze and correlate in real time that can enable better security incident response & event handling. Organization usually end up with massive data breaches due to lack of visibility in their network activities across the infrastructure. Our course would expose you to take control of enterprise wide logs, analyze them in real time using the ELK frameworks. During our course, you would learn to scale the Elastic Stack and generate powerful visualization & data modeling using kibana making analysis of data and decision making simple. The training will also cover simulating real-world attack scenarios, alerts customisation necessary to respond to a real world attacks/anomalies. With growing cloud based offerings it becomes crucial to understand systems for detecting and responding to attacks. With tools like osquery we will show how a scalable solution for system level anomaly detection can be build. This training is meant for security enthusiast, DevOps, and startups trying to build an in-house solution. This will be a great learning to set-up one's own an affordable Security Analytics Platform. Over the duration of 2 day workshop, you would get a detailed knowledge on how to build a no cost attack monitoring solution as one stop solution for external as well as internal security both on cloud as well as enterprise network. We will have various classroom exercise to engage participants on real world security use-cases as well as scaling the entire Elastic Stack for large scale networks. Labs will include all necessary tools and configs necessary to run a full functional stack for attack monitoring. The workshop would have a mega challenge at the end of the course on a pre-populated data to get a hands-on experience on production grade Elastic Stack. Elasticsearch programming Writing Plugins for Logstash Any exercise/demo on a physical network device. 30 GB of free Hard Disk Space. Latest Oracle Virtualbox(preferred) or VMWare Workstation or VMWare Fusion installed Other virtualization software might work but we will not be able to provide support for that. 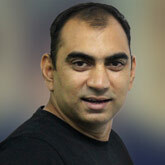 Himanshu Kumar Das is a security researcher with expertise on Infrastructure and Payments security. He is passionate about system security and fuzzing. He participates in CTF with team SegFault. 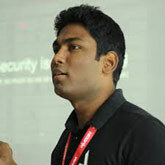 He has won Nullcon JailBreak 2012 and had been architect for HackIM CTF since 2012. While away from security, he spends his time playing console and enjoys cooking. 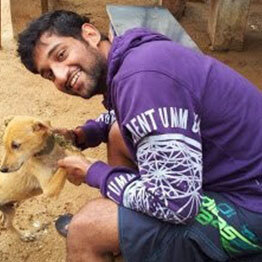 Prajal Kulkarni, is a Security Researcher currently working with FlipKart. 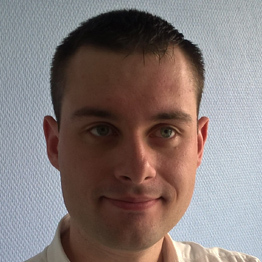 He is an active member of Null Security Community for the past 3 Years. His area of interest includes Web,mobile and system security. 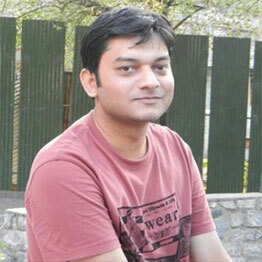 He writes a security blog at www.prajalkulkarni.com and he is also the lead contributor at project Code Vigilant (https://codevigilant.com/). Code-Vigilant has disclosed over 200+ vulnerabilities in various wordpress plugins and themes. In the past he has disclosed several vulnerabilities in core components of GLPI, BugGenie, Owncloud etc. He has also reported many security vulnerabilities to companies like Adobe, Twitter, Facebook, Google, Mozilla. He has spoken at multiple security conferences and provided trainings at NullCon2015, NullCon2016, NullCon2018, Confidence 2014, Gracehopper 2014 etc.